In case you missed the news: Apple’s patent infringement lawsuit against Samsung is over. Cupertino walked home with a victory. This was a big trial, and while it doesn’t necessarily indicate where the International Trade Commission (ITC) may fall on the same questions, the $1.05 billion judgment is high enough to hurt Samsung enough to change some behaviors. Let’s chat about what this all means. Be aware that sides will likely appeal this judgment. Apple wanted far more money, and Samsung wanted money from Apple, too. My expectation is that this trial was well run, and the judgment is likely to stand, but appeals may delay the visible impact depending on how much risk Samsung and the other Android phone makers want to take on. Samsung was really a proxy for most of the other Android licensees, and you can be sure Apple will use this judgment as a cookie cutter for similar settlements with the other phone makers. That’s the way this works, and it means Google’s late defense with Motorola wasn’t adequate. This happens late enough in the fourth quarter that no one will have the time to make critical changes to infringing phones, and since damages are based on what’s sold, many may have to pull their phones off them market in order to minimize the later judgment. Clearly Apple is the big winner here, but so are Nokia and Microsoft. Had RIM refreshed its platform in time, it could have been a winner as well, but this ruling will largely affect the fourth quarter, particularly for tablets; RIM won’t have its new products in market until next quarter, so it may nearly miss this wave. 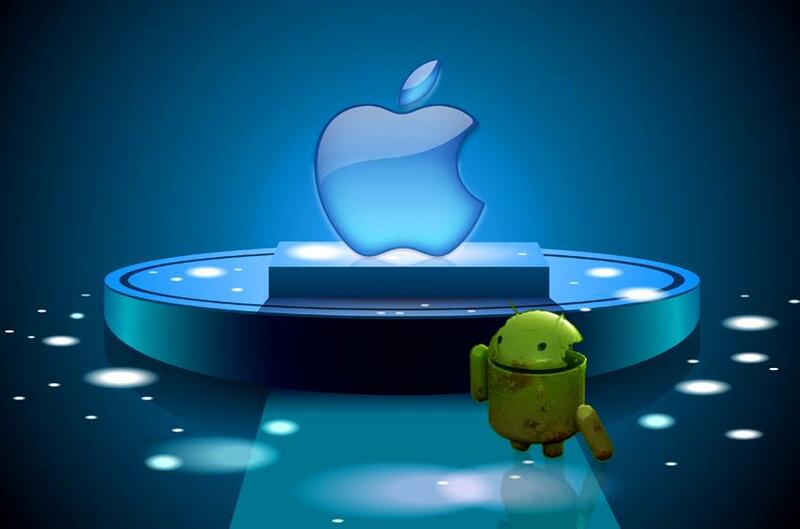 Microsoft and Nokia, however, are indemnified through Apple cross licenses thanks to Microsoft. With some Android phone builders pulling back from the US market, they may find themselves in a far better position than otherwise would have been the case. Windows 8 Tablets (particularly the RT version that runs on ARM) will be stronger positioned against the iPad, since the number of competing Android products will be reduced. Microsoft’s ability to indemnify its licensees from this kind of a problem suddenly became worth the price of admission. Research in Motion has the only available patent portfolio in play that may match Apple’s. RIM has been positioning for a sale, and this judgment may now make that portfolio even more desirable as a hedge against Apple going forward. Both Samsung and Google will be very interested in this property, and Microsoft or Apple might bid for it in order to keep either of them from getting it. Suddenly, RIM may be the most popular girl at the dance, at least from the standpoint of being acquired. Google may have to rethink its model. In effect, Steve Jobs’ accusation that Google stole from Apple has been upheld by a jury. Being found guilty (granted through Samsung as a proxy) of stealing from a firm you were on the board of and whose CEO was mentoring your founders has deep ethical implications. You’d better believe this will be used in subsequent trials to showcase Google using dishonesty as a practice. Google should likely do some soul searching, but the long-term implications of these findings could haunt Google for decades, and likely should. In the end, this is posthumous validation for Steve Jobs’ anger at Google and Samsung’s betrayal. Both firms were partners of Apple: Google was on Apple’s board and Samsung was a preferred supplier. This trial showcased that neither firm acted appropriately, and I imagine other partners of both firms are now looking at them differently this week. Google had this policy of not being evil; well a jury of nine just voted that this policy isn’t working particularly well. Maybe they should take it to heart. In the end, this one decision just rocked the technology world; we likely won’t be able to assess the full impact until after the end of next quarter. But I can say this: What we see coming to market will now be vastly different than it would have been, and the market winners and losers will be vastly different. I suspect Bill Gates will toast and quietly thank his old partner and competitor tonight for carrying the ball this one last time. Guest contributor Rob Enderle is the founder and principal analyst for the Enderle Group, and one of the most frequently quoted tech pundits in the world. Opinion pieces denote the opinions of the authaor, and do not necessarily represent the views of Digital Trends. Samsung Galaxy S10 vs. Google Pixel 3: Can Samsung beat the stock Android king? The Huawei P30 Pro is Huawei's first high-powered flagship on 2019, and it's a stunner. But it needs protection from scratches and chips. Here are the best Huawei P30 Pro screen protectors to keep it safe. The Samsung Galaxy Fold boasts top-tier specs in a groundbreaking and unique design, and as such it makes sense that you might want to get the phone for yourself. Here are all the places you can get the Galaxy Fold for yourself.